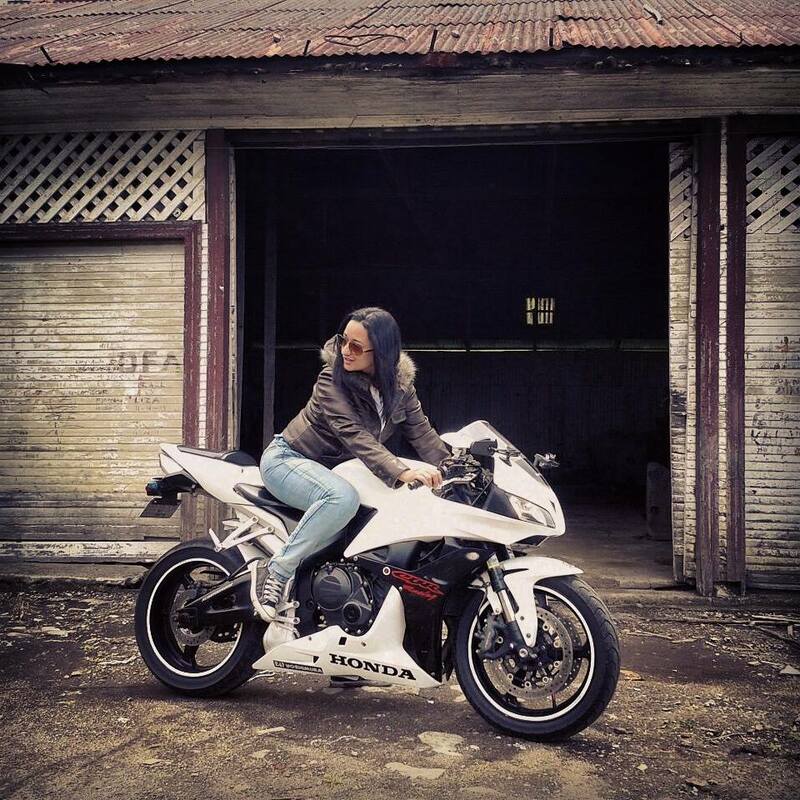 Raquel Rodriguez and her Honda CBR600 sportbike. Costa Rican Raquel, 36, has been riding for about ten years- her first bike was a 100cc scooter. Starting small is a good way to get familiar with two wheels without too much pressure- they’re light, fun, and if you drop it… so what? After her scoot, she got a Yamaha FZ150i that she’s kept despite upgrading to the CBR. 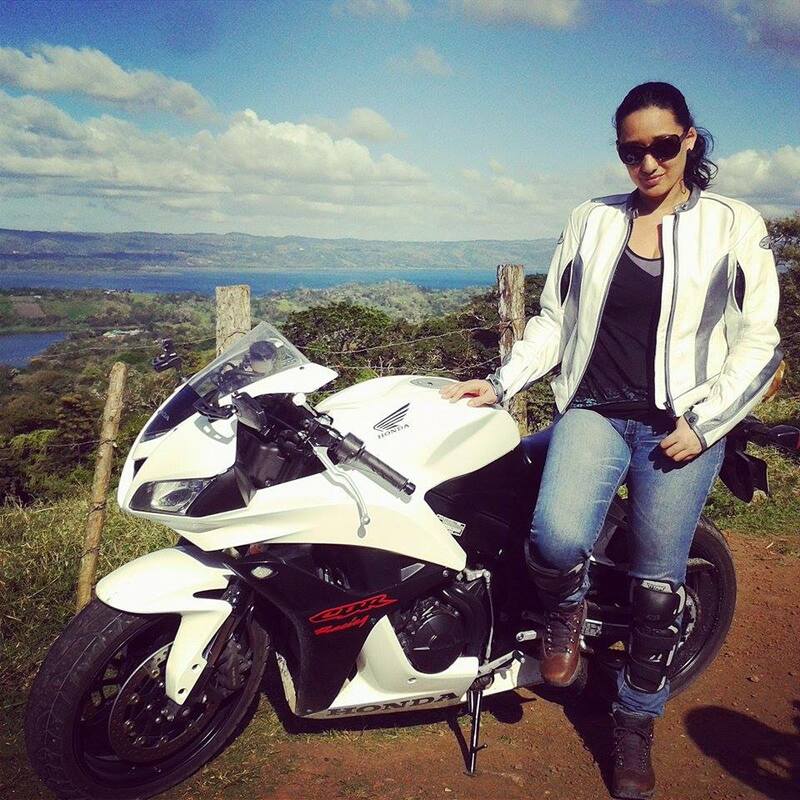 Her passion is superbikes, and rides her Honda internatiomally on road trips. Thanks for the submission, Raquel!